How often have you gone for a run only to stop short because your knees have started hurting? Do you experience pain when you bend or straighten your knee, especially when walking down a flight of stairs? Do your knees often buckle, lock or swell? Painful, isn’t it? If you have any of these symptoms, you need to see a physiotherapist ASAP. We’ve first got to understand how complex our knees are. The knee is the largest joint in the human body. It is a modified hinge joint (imagine a hinge that allows a door to swing open and shut). This allows flexion and extension as well as some rotation. It joins the thigh with the leg and comprises of two joints: the tibiofemoral joint (between the femur and tibia) and the patellofemoral joint (between the femur and patella). Unfortunately, when you damage your cartilage and meniscus cells in your knees, they don’t have the capacity to regenerate. So, you have to take care of your knees and avoid injury in the first place. The three main factors that affect the health of your knees are weight, knee alignment, and previous injuries. 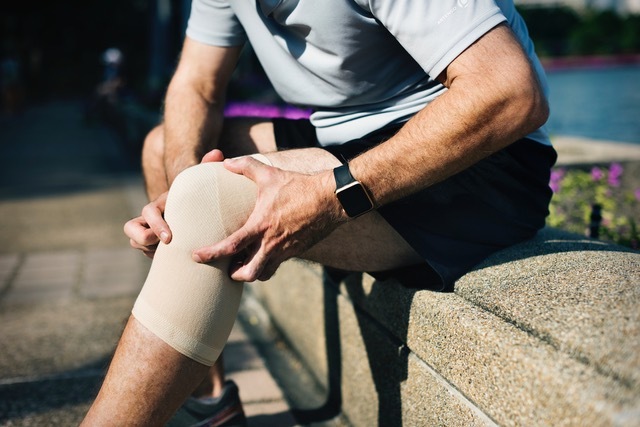 If you’ve not had issues with any of these factors, you should be able to run and exercise without the risk of knee pain. However, if you do, you need to take precautions so that your knees are protected from injury. Let’s face it, many of us take up running to lose weight. But we need to keep in mind that if you’re overweight, you are putting tremendous force on your knees. Studies show it can be 4-8 times your body weight! 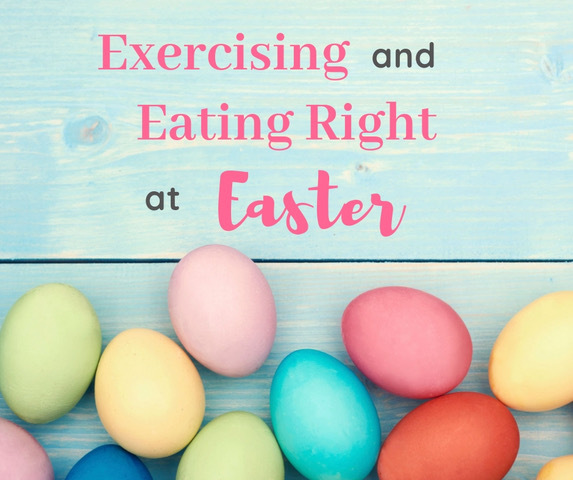 To counteract this, make sure you include some cross-training like cycling or swimming to take the strain off the knee joints. Also add some strength training to your workouts. A very important factor when it comes to weight loss is your diet. Simply put, in order to lose weight, you have to burn more calories than you consume. 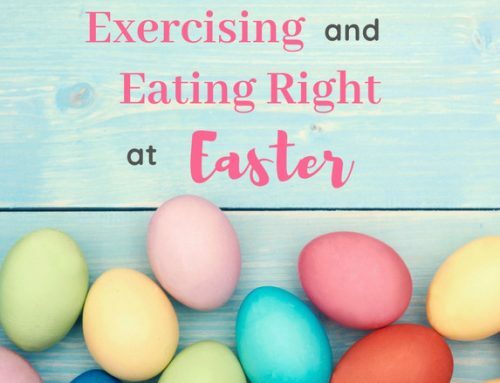 So make lifestyle changes in your eating habits: stay away from processed foods like salty snacks and sugary treats, and eat more vegetables and lean protein. 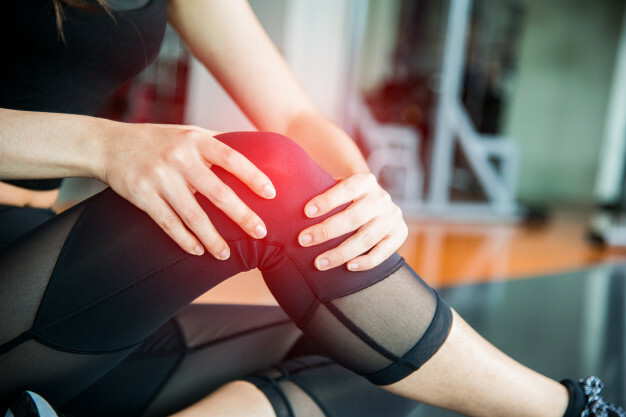 There are various factors that affect your knee alignment: when the calves are tight or ankle joints lack range, the inner thighs are tight or the outer thigh is weak. In these cases, the knee will tend to absorb more impact and it will buckle in, putting extra strain on your knees. A visit to a physiotherapist or an exercise physiologist will help sort out this problem. They can analyse your walking/running style and prescribe exercises to strengthen the area and correct imbalances. Stretching is also important to keep knees tracking correctly. Buy a foam roller to loosen all those tight muscles, particularly the illiotibial band (ITB) which runs on the outside of your thigh. Make sure you use it regularly – it’s well worth the ache! If you have an old knee injury that wasn’t properly treated, it may flare up now and then or hurt all the time. If you’re a gym-goer, reduce your weights and make sure your technique is correct. Get your instructor to check your alignment and when you’re out walking, focus on your posture to make sure you are standing evenly on both feet. Take time off from running as it is very hard on the knee joints. When you do return to running, wear shoes with good support and avoid running on bitumen.